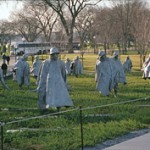 The memorial centers on 19 lifelike steel statues of U.S. soldiers on patrol, dressed in full combat gear. The soldiers represent the four branches of the U.S. military and a cross-section of races and ethnicities. 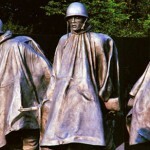 Sculpted by World War II veteran Frank Gaylord, they are placed among juniper bushes and granite strips meant to simulate the rough terrain of Korea. A pool of remembrance and Honor Roll commemorate the dead, missing in action, and prisoners of war among the U.S. and United Nations forces who participated in the conflict. Along the memorial’s north entrance lies a curb listing the 22 nations that provided troops or medical support as part of the UN response. On the south side of the memorial, there are three Rose of Sharon hibiscus plants, South Korea’s national flower. 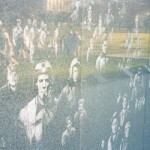 The memorial is centrally located, adjacent to the Lincoln Memorial and directly across the Reflecting Pool from the Vietnam Veterans Memorial. The memorial is best visited at night when white lights illuminate the 19 statues, making for memorable, if ghostly, photos. There are no food concessions near the memorial, so plan accordingly. 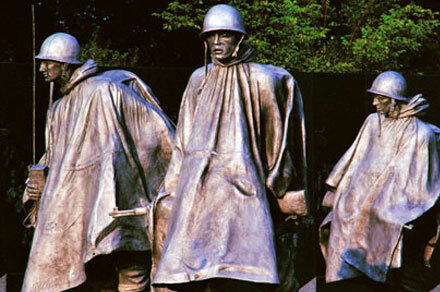 Hours: The Korean War Veterans Memorial is open 24 hours a day, every day of the year. 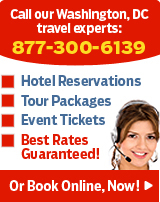 Park rangers are on hand to answer questions from 9:30 a.m. to 11:30 p.m. daily, except for December 25.